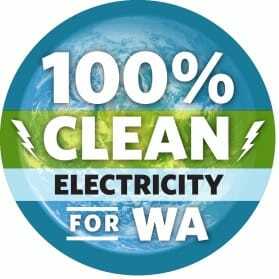 Today, Joni Bosh, Senior Policy Analyst at the NW Energy Coalition, testified in support of Senate Bill 5116, the 100% Clean Electricity Bill, before the Washington Senate Environment, Energy, and Technology Committee. The following is a press release from the Environmental Priorities Coalition of which the NW Energy Coalition is a member. To learn more about the bill or to become involved in the campaign to win passage, please email Kat Plimpton, Outreach Manager at the NW Energy Coalition. Notably, Seattle City Light testified in support of the policy, and others’ testimony mentioned utilities including Excel Energy that are moving towards 100 percent clean energy around the country. “[This policy will]. . .create thousands of jobs and a number of large industrial projects [and] support the workers who will make this policy a reality,” testified Matthew Hepner of IBEW as he urged lawmakers to support SB5116.